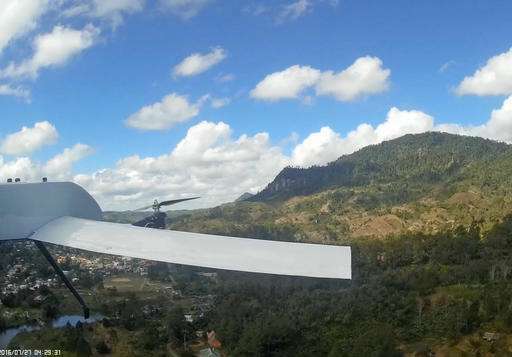 A suburban New York university is using drone technology to improve the health care of people in remote parts of Madagascar. Diagnosis of ailments, like tapeworm disease, which causes life-threatening seizures and contributes to malnutrition in villages on the island, can now be completed within a few hours, said Dr. Peter Small, founding director of Stony Brook's Global Health Institute. To reach these villages, medical workers have had to travel on foot—there are no roads—a trip that takes five to nine hours each way. 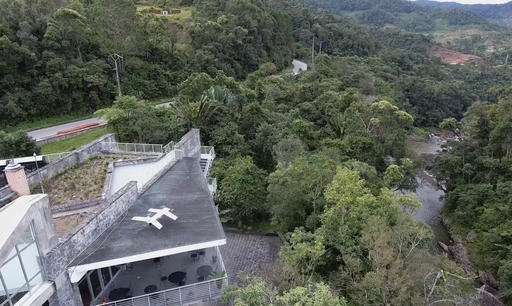 By drone, they can dispatch the medical samples back to Stony Brook's Centre ValBio research station and get lab results within an hour or two, said Patricia Wright, the station's executive director. "Blood samples have a shelf life, especially in the tropics," she said. "This is such an extraordinary thing, to see these people who have been suffering have hope for the future. Some of my best friends have died senselessly. The dying will not happen in the future because these things are preventable with the help of the drones." 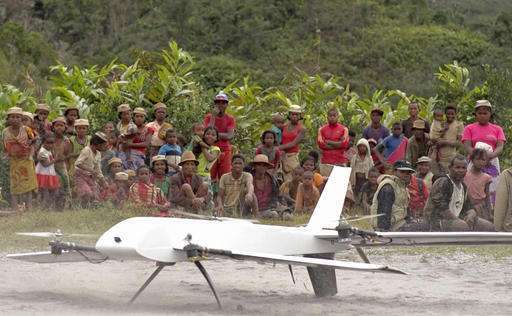 Small said villagers who live as they did centuries ago were coached by Stony Brook personnel ahead of time so they would not be frightened by the drones. "That was the biggest unknown, seeing how they would react," Small said, adding that "they didn't throw rocks at it."